I’ve never been asked for my ID just to eat ice cream before! Then again, I’ve never really had ice cream with alcohol in it before. 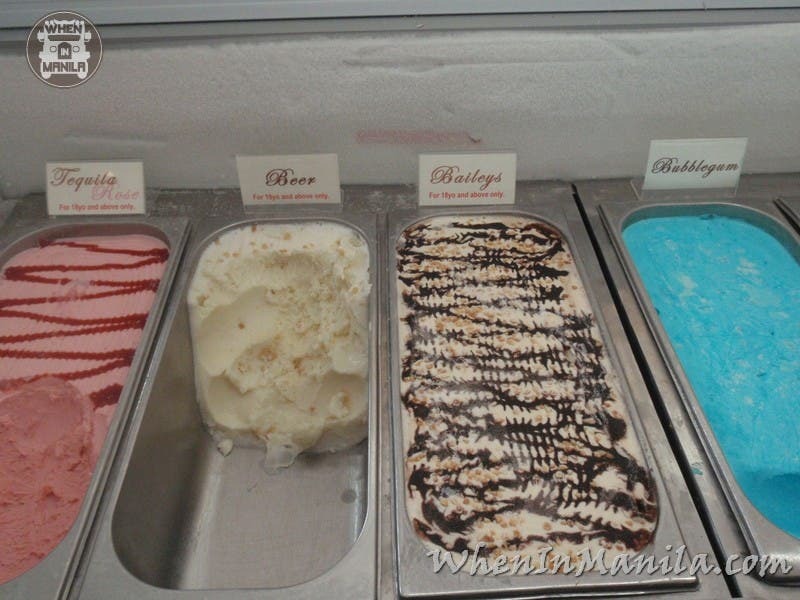 At El Fav Ice Creamery, they specialize in cold desserts that are unique in flavor and style. Come here to try new concoctions with a cold and creamy base. 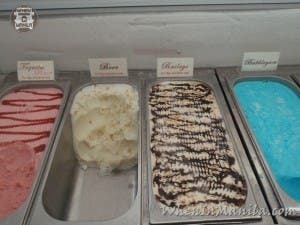 Do remember to bring your ID though if you want to try the more “special” treats that they have here at El Fav Ice Creamery. Let me give you a rundown of just a few crazy ice cream flavors they have: Wasabi Ice Cream, Baileys Ice Cream, Yakult Ice Cream, Beer Ice Cream, Tequila Rose Ice Cream, Bubblegum Ice Cream and more! 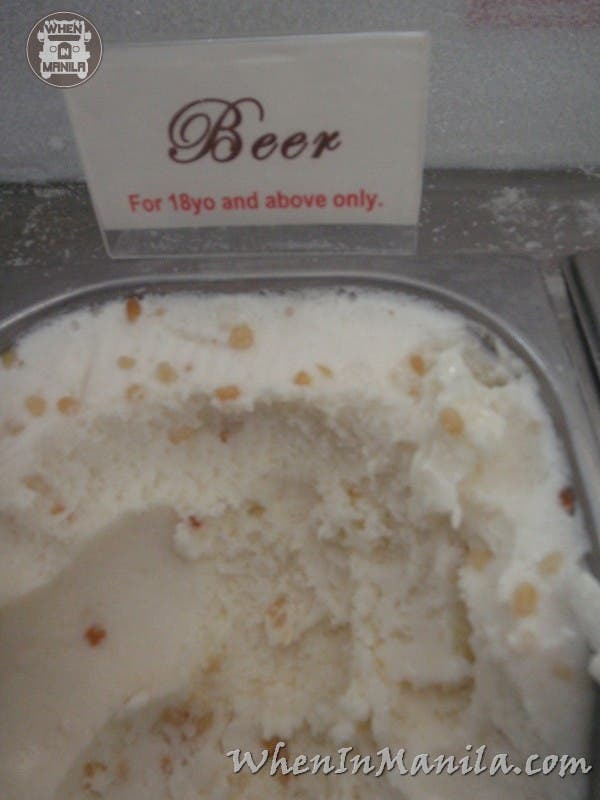 Of course, being the beer connoisseur that I am, I had to try the Beer Ice Cream first! I was surprised on how uncanny the similarity was with the taste of the Beer Ice Cream. I was expecting it to be a bit washed out and watered down because of the freezing process and all, but no. It tasted almost exactly like real beer. The only difference was that it was creamy and cold. But again, the taste was pretty much on the dot! It was actually kind of creepy coz I wasn’t used to tasting beer like that. I’ve been drinking beer for a long time now and that sorta threw me off because of how similar yet different it was. I recommend you do try it out yourself to see what I’m talking about! Following my Beer Ice Cream tasting, I then went on alcoholic spree with the Tequila Rose Ice Cream and the Baileys Ice Cream treats. Both of them seemed like they were meant to be ice cream flavors. It was a perfect mix that tasted sweet and sinful in your mouth. Of course, I went ahead and tried all the other cool flavors, the Lactobacilli Ice Cream or Yakult Ice Cream, which is cultured milk popular in the Philippines, tasted nice. 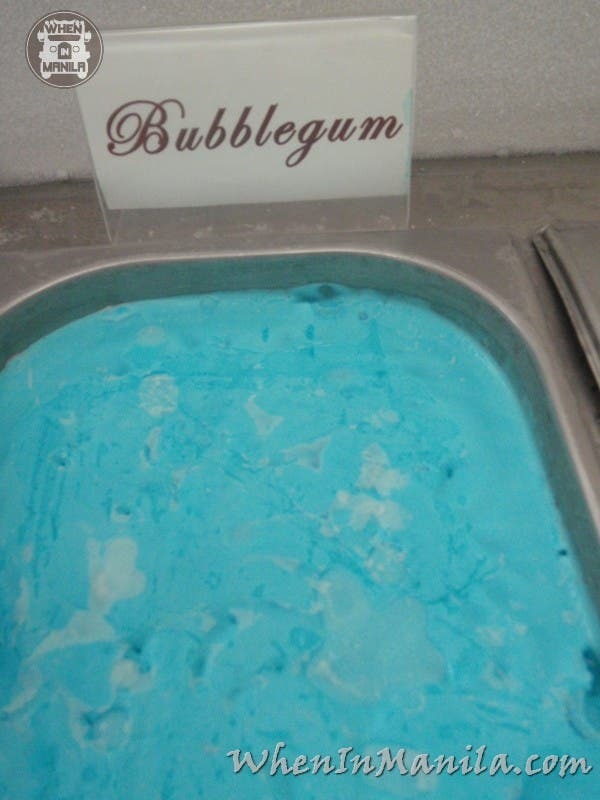 The Bubblegum Ice Cream tasted sweet. Finally, I also tried the Wasabi Ice Cream which surprisingly tasted really good! I’m not quite sure how to describe it in writing, but the Wasabi Ice Cream mix had a tangy yet sweet flavor that was just right all around. It ended up being my favorite taste test of the day…. Right next to the Beer Ice Cream of course! Anyway, I’m starting to get a bit tipsy just thinking about all that Alcoholic Ice Cream. 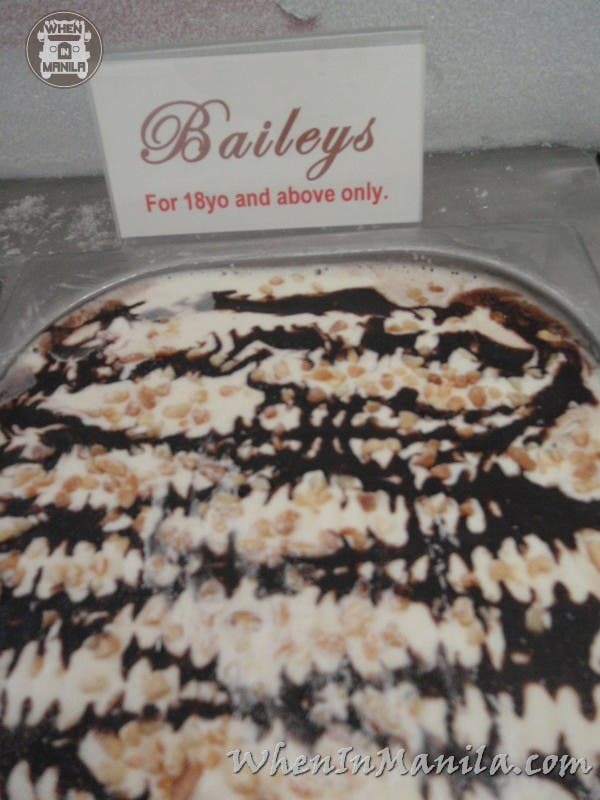 So just remember that When In Manila, come to my El Favorito Alcoholic Ice Cream place – the El Fav Ice Creamery and try out their out-of-this-world ice cream flavors and especially the alcohol ice cream mixes with your favorite drinks, like beer, Baileys and Tequila Rose, turned into a tasty, creamy and sweet treat! Don’t forget to bring your ID though to prove you’re of legal age to try these alcoholic desserts and ice cream flavors.